You can learn a lot from the graves of your ancestors. But how do you find a cemetery grave? And what do you do when you get to the cemetery? Well check out this post as I will answer these questions and also give you plenty of tips as well. Within this post I will occasionally refer to either a cemetery or a graveyard. You will have heard of both of these terms but do you know that there is actually a difference between them? A graveyard is typically smaller in size and is often associated with a church. Both though are places where you will find your loved ones buried. There will usually be a stone with an inscription that can give you very much clues that can help you further with your genealogy research. An interesting fact before we begin! Before I continue with this post I just wanted to share with you an interesting fact that I recently found out. Do you know why people are buried six feet under? It all goes back to the time of The Great Plague of London that lasted from 1665 to 1666. In order to stop the spreading of the bubonic plague The Lord Mayor of London requested that all graves to be buried to a minimum of six feet deep. However, in actuality this solution would prove to be ineffective. Yes that’s right there is actually a day which you can set aside and visit your ancestors. This is the perfect day for you to get in your car and visit the cemetery where your ancestors were buried. Although yes you can do this any day of the year. But why not visit a grave on this day as well?! The following 30-minute video from Ancestry will show you the potential of visiting cemeteries. 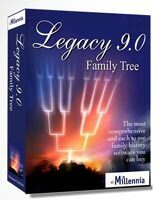 They can help you out a great deal with your genealogy research as you will learn from the video, as well as from this helpful post as well. There is no point going to all that effort only for those photos to stay on your camera or phone. What’s the point in that?! So, take your time at home going through your photos and nitpick all that you can from them. Afterwards you may wish to go to another cemetery and find even more buried ancestors. What Information Can You Get From A Memorial? After reading this post you may want to learn more about how you can get the most from cemetery research. That is why I want to direct you to a post entitled 3 Genealogy Tips for Cemetery Research. Written by Gena Philibert-Ortega you will learn how to look for the obvious, get the most from newspapers and also how to survey the area. 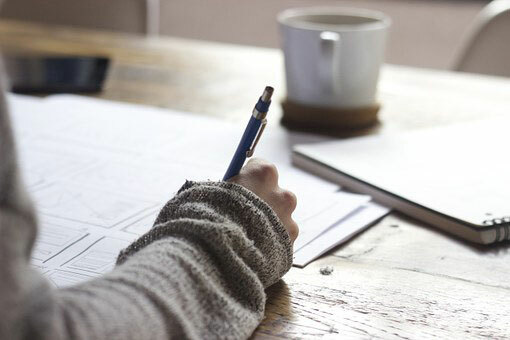 Learning from Gena can really help your research so I do highly recommend that you check out her post. Before You Visit A Cemetery! There is no point making a long journey to a cemetery only to find that your ancestor isn’t even buried there. What a waste of time and money? So, before you do make that visit there are a few questions that you need to consider. Depending on the cemetery that you visit you might find that there are volunteer genealogists that can help you with your inquiries. So, please check out first in what way the cemetery can help you. It’s a good idea to check whether the cemetery has an office and if so whether they have a website as well. From here you may be able to get the answers that you need before making that trip. Is your ancestor buried at the cemetery? What records does the cemetery have? Does the grave have a stone with an inscription? And what condition is it in? Can the cemetery provide a copy of this information? And is a map of the graveyard available? Can I make an appointment? If you attend at a set time then someone will be there to help you get the most out of your visit. Is there a fee for all this information and making an appointment? If you aren’t able to visit the cemetery for whatever reason then you can always ask if they can mail the information to you. This information can include church records, memorial inscriptions and also photographs as well. Please note though that there will probably be a small fee for this service. I probably should have answered this at the start of the post. It is a very valid question considering that you can usually find what you want online. 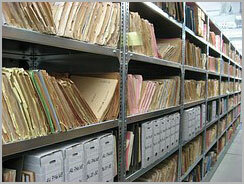 All sorts of records are being digitized and being uploaded to genealogy sites. It is not uncommon though for errors to sneak into these digitized copies so it does help to actually visit the grave yourself. Also, if there is some information not recorded but is on the stone then it does help to check. And finally, every once in a while you want to get out of the house and actually visit where your ancestor once called home. For me it brings me closer to them, and I hope it does for you too. Check out the local family history society! Before I continue I do want to make another suggestion. You could check out what information that you can sought from the local family history society. They may be of better use if the cemetery does not have an office or if there isn’t much information that they can give you. The society should know the area very well, particularly the cemetery. They will know what condition the cemetery is in and whether there are any hidden dangers, i.e. unstable tombstones, overgrown vegetarian or any other danger. What To Bring For A Cemetery Visit! When it comes to visiting a cemetery, or graveyard, you will want to be prepared. There is no point going all that way to finding where your ancestors were buried only to have no way to record what you find. Also, you may find that the cemetery is overgrown or the weather is poor. So, you need to be prepared for all conditions. If you are going to make a day of it then why not bring along someone you know. It could be a family member or a close friend. You will need someone with you to keep you company but also they can be a great help to you as well. When you arrive at the cemetery why not split up. This will obviously save you time. You could always bring your family as well. It’s an excellent activity for your loved ones to learn about your ancestors, all why carrying on with your research. You don’t want to walk around a cemetery where the grass hasn’t been cut in a while. Or maybe it has been raining and it is very muddy. That is why you should bring with you the appropriate footwear. If you are concerned with dirtying your car then you can always bring gumboots or walking boots and keep them in the back of your car. As well as proper footwear you also want to bring the appropriate clothing or a change of clothes. Unfortunately you have to be prepared for different weather conditions. It may be warm and sunny when you start off on your journey. But when you get to the cemetery it may be raining and cold. An umbrella is also a good idea to keep in the car as well. Garden shears or secateurs and gloves! Yes, that’s right you might need to bring some garden tools with you. If you haven’t got either of these then maybe ask a neighbor, a friend or family member. As I mentioned with regards to footwear the cemetery maybe overgrown. Therefore once you find the grave that you are looking for then you may need to do some cutting in order to take the photo that you want. Unfortunately not all cemeteries will be regularly maintained. So, you will need to be prepared to face a cemetery with long weeds and grass. Gloves are also a good idea to bring. You don’t want to be pricking yourself on a thorn. If you do come across any growth around your ancestor’s grave then you will want to have somewhere to dispose of it. You usually won’t find bins located in cemeteries so it is a good idea to bring a bag or maybe a box to put the clippings in. Also, even if there is a bin I don’t think it would be taken too kindly if you fill it up with this waste. You may want to find a spot for it, but I feel if it is too much then it is better for you to take it home. You may sadly find litter around the grave. So it is always a good idea to bring a bag in case this happens. When you do find the grave of your ancestors you may need to do some tidying up. This is besides the grass or weeds that you may need to remove from the grave. A hand brush and a bottle of water are perfect if the grave is particularly muddy. Cleaning up the memorial stone will help you when you take that much needed photograph. Please though do not bring with you a wire brush. This can obviously damage though the stone and will not help you to read the writing. Last but not least you will need to bring a camera with you. You will obviously need to keep a record of what you find. A camera is useful because you can not only take a photo of the grave but also the whole cemetery or graveyard. Taking several shots will help you to find the grave the next time you visit. And recording when you visited the grave is a good idea as well. A pen and paper, (or notepad would be better), is a good idea as well. You may find that when you get home and you look at the photo that you can’t actually read the inscription on the stone. Trust me I know because that has happened to me. And that obviously means yet another visit to the grave to get those details, again! When you have tidied up the grave, taken your photos and got as much information as you can then why not leave some flowers. It is a nice way to pay your respects to your ancestors. At least that’s what I think anyway. If you are like me then you will want to walk around the grave and not stand on the grave. I don’t think it’s respectful to be walking across your ancestor’s grave or anyone’s grave for that matter. The inscription on your ancestor’s grave stone can give you some much needed clues. The information that you will find on the stone can actually help you to break down any brick wall that you hit against. So, what can you learn from these inscriptions? What information can you find out? The information that you will discover can vary from stone to stone. And usually the more recent the burial then the more information will be included in the inscription. Not only will you find information on the stone but the kerb that runs around the grave. This is also something to keep in mind when getting information about your ancestors. Name – This will usually include their full name, with maybe a middle name or a nickname as well. Relation – Often the stone will say who the person is related to, i.e husband of or father of. Burial/death dates – Be careful not to mix the burial date for when your ancestor died. If you have a a burial date then you can check a few days up to a week before for the death record. Age at death – Sometimes you won’t find a birth date, so the age at death can help you to track down when your ancestor was buried. Other family members – To save costs there maybe more than one person in the grave. This will mean more than one inscription will be added to the stone. You can therefore find out other details about the family. Quote – Not particularly helpful when it comes to giving you clues for your genealogy research. But regardless it is something to note. What if the grave has no memorial? Please be prepared that not all graves will have a grave stone. It may just be a simple wooden cross. And the reason for this was probably because the family were too poor to purchase a stone. If that is the case then you can always check the church records to see what information was recorded at the time of burial. What if you cannot find your ancestor? Often you will find a married couple to be buried together. But this is not always the case. Take for example my 3rd great grandfather John Waters who was a seaman. He was not buried with his wife in South Wales, but in Newcastle in the north of England. There are a few examples of my ancestors not being buried with their partners. Sometimes you may find that your ancestor may actually be buried with their children. So it is worth checking each family member’s graves as well. Find Death and Burial Records Online! If you cannot visit a grave for whatever reason then please check out these websites. Each of these I have used in the past and they have helped me greatly find those little clues to move me forward with my research. Both of these are very popular genealogy search websites and have helped me immensely to build my family tree. They contain billions of records that include birth and marriage records, immigration records, passenger lists, wills, and so on. And they also have death and burial records as well. Very useful to helping you to tack down where your ancestors were buried. You will though need to have a paid subscription to these sites to access these records. Even though you will need to hand over money there is more of a chance to find what you are looking for with these two sites. If you cannot find your ancestor when searching their databases I do suggest that you try alternate spellings of their name. This tip has proved quite useful for me in the past. Hosted by the Church of Latter Day Saints is a free collection of grave records dating from 1500 to 2013. It is a limited resource compared to FindAGrave, but it is certainly worth checking. Besides you may find other useful records about your ancestors on this site. You can search their database by entering your ancestor’s first and last name. To make your search more successful you can search by a life event, such as a birth or marriage. You can also entering the name of a spouse, parent or other relation to help you find your ancestor. This is a free website where you can find photos of your ancestors graves. These photos are submitted by volunteers and there are millions for you to search through. It maybe a bit hit and miss but it is worth checking first before you set off in your car. For me though I still like to visit the site but if it is hundreds of miles away then this service is very useful. You can search for your ancestor based on their first, middle or last name, year of birth and when died, and also the location of the cemetery. The more details that you enter will help you find the grave that you are after. I hope you enjoyed this post showing you how to find a cemetery grave and what to do once your there. If you have any questions or comments then please leave a comment below. My daughter and I love visiting cemeteries and reading the headstones, looking at the designs, and the materials used to build them. I love the history of not only my ancestors but of the others buried there. I am concerned, though, about the practice in some Australian cemeteries of recycling graves. Have you heard of this occurring? The NSW government have put forward a proposal to “rent” graves for 25 years and then exhume the bodies and put them in bone rooms. I am saddened by both these proposals as not only are the final resting places of loved ones being disturbed but the history for generations is being lost. No I haven the heard of that. That’s scandalous. I hope that that does go through. Families want to go to the cemetery where their loved ones are buried, not go to a bones room. Very interesting information here. I can honestly say I thought a cemetery and a graveyard where the same. I also didn’t know why people where buried six feet under. Now I know its because of the Great Plague of London. Great introduction with those educational pointers. My parents are buried in the same graveyard right beside each other. How do I know its a graveyard? Because its associated with a church. Ha! I can relate when you talk about the list of things to bring, especially the garden tools and bags. And please don’t forget the gloves. Camera and flowers are a must! My sister has an ancestry.com account and has been linking up with different members of the family we had no clue we were related to. It is so amazing and really does work. Thank you for writing this article as I can very much relate to it. Thank you for your comment. Glad that you liked the facts. I thought they were interesting facts to share. I didn’t think about gloves. I will have to add them to the list. Thank you for suggesting. Ancestry is a great way to connect with distant relatives. As it is so popular there is a very good chance that you can meet family that you never knew. And the great thing about it is that you will obviously learn more about your family tree. 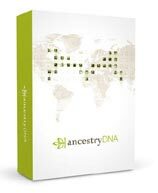 Ancestry DNA is a great way to make these connections. And that is besides learning where your ancestors came from. Hi owain, very informative article. You have given so much for me to think about, thank you. Will make sure to take some of your tips on board when I visit a cemetery next. And I’ll be coming back to your site for sure too. Thank you. There are plenty of tips here. I couldn’t believe how much there was when I was finished writing the post. As I have mentioned you can learn a lot from grave stones. So it is a valuable research for us family historians to us. Really interesting, Owain! I always sort of enjoy walking around old graveyards, reading the memorials. It always makes me wonder about the person who is buried there. What were they like? What was their story? Do they have loved ones that come to visit their gravestone on occasion? My ancestors are all buried in graveyards in Holland, and so are my husband’s. We hope to travel there someday and see where they lived and died… and somehow to find their graves. I’ve heard that in Europe they are running out of space for graveyards, however, and are actually re-using ones that are over 100 years old… I hope that is not the case with the graves of our ancestors, as I would really like to see them one day! Thank you for the comment. Now that I think about it I wonder how many of the graves get visited. And also I wonder if there are others who visit the graves of my ancestors. That is surprising about old graves in Europe. I didn’t know that. Thank you for sharing. Hi Owain – Very interesting subject matter and something I’m really interested in so will watch your site with interest. I really didn’t know the difference between a cemetery and a graveyard, so I learned something new today. Great website! Thanks Nick. I have learned that you can really break through brick walls in your research if you go to cemeteries. So I hope you like all the tips that I have provided. Also, glad you liked the fact. I like to include facts with my posts.